Participating in the 2017 National Model UN conference was a great opportunity to meet new people from different backgrounds and worldviews. Model UN is a simulation that tests your ability to communicate, negotiate, and to set your role as an individual in a group. It allowed me to be a part of a large group setting with conflicting views, and taught me not only to overcome conflicts through alliance and negotiation – but also to make sure that those who are underrepresented as a result of the group’s power dynamic become equally represented. In less than a week, I discovered new things about myself and my preferred career path. 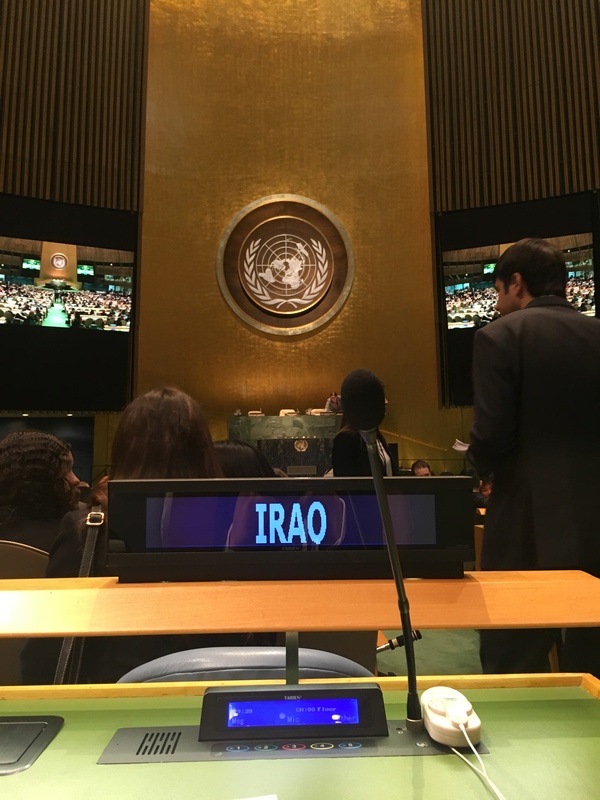 The foremost thing I gained from my experience representing Iraq in the simulation at the UN was renewing my interest in taking new challenges. These included challenges to work with people I had never met before, challenges to step up and question the group’s power dynamic, and challenges to be open to change, compromise and diplomacy. This entry was posted in Student Delegate Blogs and tagged Alanoud Alammar, Model UN, National Model UN, NMUN, Pace University, United Nations. Bookmark the permalink.